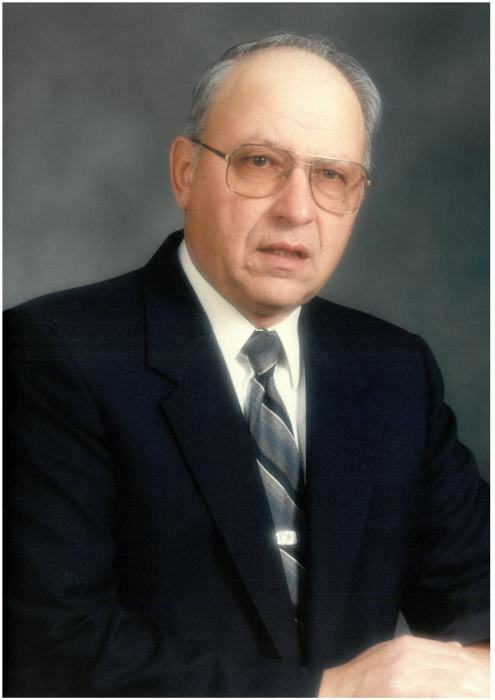 George Spilchen passed away peacefully at the Langenburg Centennial Care Home August 14th at 80 years of age. George was born on January 6th (Ukrainian Christmas Eve) 1938 on the family farm in the Whitesand area to Nick and Pearl (Stefanyshen) Spilchen. He received his schooling up to grade 6 in the Orcadia. In 1973, George moved his family to Springside and was employed with Federowich Construction and Department of Highways. George then worked at Morris Industries for 25 years, first as a machinist and then janitor. George was proud of his years at Morris. George was very involved in minor sports in coaching hockey and ball, and also refereeing hockey for many years. What George was probably most famous for was his umpiring many, many ball games and tournaments throughout the area. He lived across the street from the skating rink, so if there was anything going on, he was there! In his later years, George loved being involved at the Senior Center in Springside. He loved music, and he played the accordion, organ and harmonica. He loved fishing, gardening, going to Yorkton Terrier and Cardinal games, watching his Toronto Blue Jays and Maple Leafs, and going for coffee with Springside friends. He was also was a great cook, especially his beet rolls! George was predeceased by his parents, Nick and Pearl; brothers Mike, Pete, Steve and, sister Madeline. Stepbrothers: Metro, John, Fred, and Bill; stepsisters Marie, Pauline, Annie and Katie. He is survived by his daughter Sherry (David) Louttit of Estevan; son Terry (Ellen) Spilchen of Churchbridge. Grandchildren: Kendra (Kyle) Schad, Christan (Jon) Nixon, Matthew Louttit, Jasmine and Joshua Spilchen. Great grandchildren: Jayden, Darius, Sarah, Isabella, and another due in October. Brothers Henry (Shirley) and Paul of Orcadia; sister-in-law Pauline Spilchen of Yorkton and many nephew and nieces.